Meet Gerald – Teach. Empower. Transform. Gerald Mason currently serves as a Postsecondary Coach in the Scholars program. In this role, he is matched with a 12th grade Scholar to provide individual support on his journey to post-secondary education. 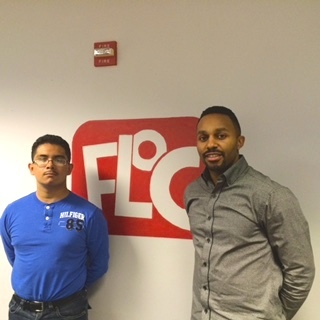 Gerald first heard about FLOC through his girlfriend, who thought it would be appropriate that he consider FLOC, given his interest in mentoring and education. He’s always had a desire to serve his community but he recognized that having a passion for giving was not sufficient. He knew it was time for his actions to better mirror his values. Gerald has been a volunteer since the summer of 2014. 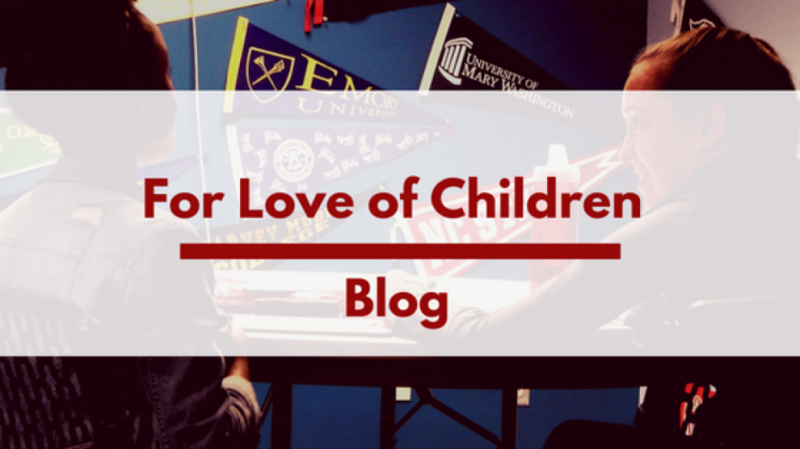 He started as a Tutor in the Neighborhood Tutoring Program. This school year, Gerald is working with a student named Aldair, who he is helping to complete scholarship applications. Aldar is the epitome of a modern day gentlemen. He’s smart, compassionate, and family-centered. Gerald finds Aldair’s love for science and truth discovery refreshing and is impressed by his indomitable will. Gerald’s best experience thus far at FLOC occurred on 3/10/15. That was the day he found out Aldair got into his number one school, Catholic University. Aldair will the first person in his family to go to college. Gerald and Aldair worked hard on improving his SAT score to boost the strength of his candidacy. He made everyone proud by increasing his score by 70 points. His acceptance into Catholic justifies his hard work and further legitimizes FLOC’s efforts. 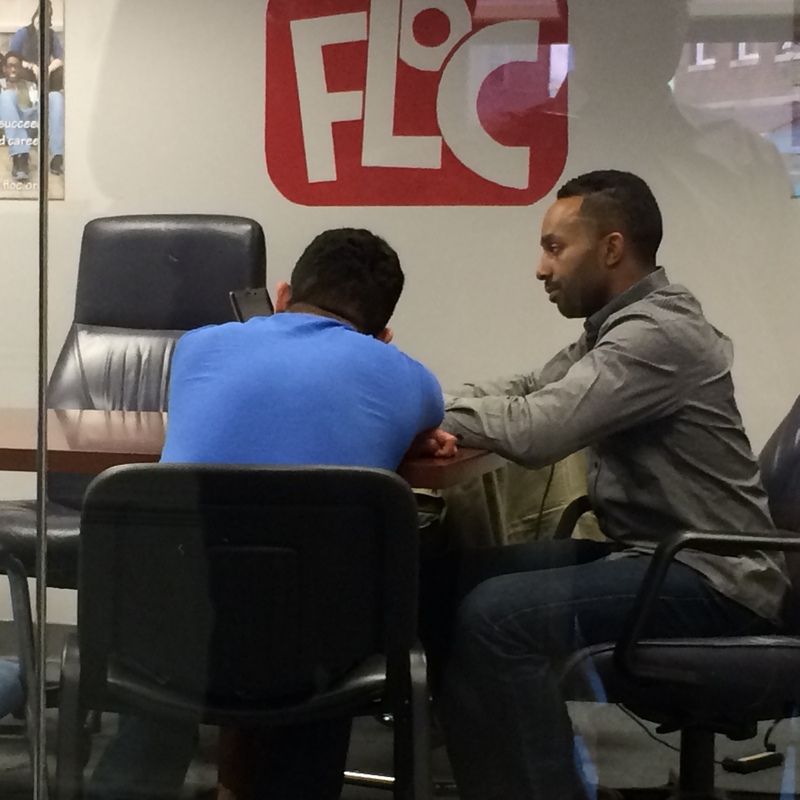 Besides Aldair’s acceptance into Catholic, every day helping him to secure his future is a legitimate contender for Gerald’s “favorite moment” at FLOC. Gerald and Aldair were both applying to schools this school year which made their bond tighter. They had to be accountable to each other. His acceptance into several schools and Gerald’s acceptance into Cornell University for graduate school makes their journey together this year much more memorable! A fun fact about Gerald is that his mother was a Director at FLOC in the 1980s, which he discovered after he started volunteering. Previous postThe Harpers Ferry Half Marathon is coming soon! Sign up now!